So as I mentioned in my last post, Jillian arrived roughly two weeks ago, nearly three weeks early. I had gone in to see my Ob for my pre-op appointment in preparation for my scheduled C-section, but all of my labs came back borderline. Everything. My sugar was controlled with insulin, but borderline. My blood pressure was technically high, but just by a couple of points. The protein in my urine came in just barely over what they want to see. And... I'm pretty sure they checked some other things too, but am blanking on what they were right now. The main thing is that every single thing that they checked came in as borderline problem. So borderline, in fact, that my regular Ob didn't feel comfortable making the decision himself. He sent me home with instructions to pack my hospital bag, rest, and wait for him to call with further instructions after he consulted with other doctors in the practice. He consulted with two other doctors, then called me himself telling me they had booked the OR for me the following morning. Unfortunately since it was unexpected, we didn't get my regular Ob, as he wasn't on the schedule for hospital rotation that day, but all of the physicians in the practice are fantastic, so no biggie really. Jason was on shift, so took off the last 12 hours so he could come home and be home the night before. My parents met us at the hospital and stayed in the waiting room with Jena while waiting. My sister and my mother-in-law were also there. Pre-op schtuff went as expected & planned. No worries there. I will tell you that the spinal hurt more than I anticipated. Getting my epidural when Jena was born is one of the parts of her birth that is still blacked out of my memory, so I had no frame of reference. All I knew is that the anesthesiologist told me that after the numbing shot there shouldn't be any pain, only pressure. In fact, turns out where I'm feeling pain helps them know whether or not it's going in correctly. So seriously... liar. LOL. The C-section itself was less pain than I anticipated. Everyone I had talked to - both medical personnel and other C-section mommas - had told me that I would feel so much pressure that it was painful. Not for me. No pain, and barely any pressure to speak of. What was unexpected was how much nausea I had. The anesthesiologist told me it's from my blood pressure dropping from the spinal, and is fairly common. Yeah, I was really sick. The most amazing, wonderful thing is that I was aware of everything and I remember everything. All of it. When they placed her on my chest. The look on my husband's face. The sound of her first cry. Overhearing the doctor's comments, the nurses' conversations. All of it. All of it is wonderful. Every second. All of those things that I missed during Jena's birth, that I blacked out during, that the PTSD has still blocked from my memory, that I have so much guilt over not remembering, that I've always felt that I missed out on. I didn't miss them this time. I experienced all of them, and I remember it all. And that is such an amazing gift that I thank the Lord for. As a side note about remembering the doctor's comments: he was a bit disappointed. 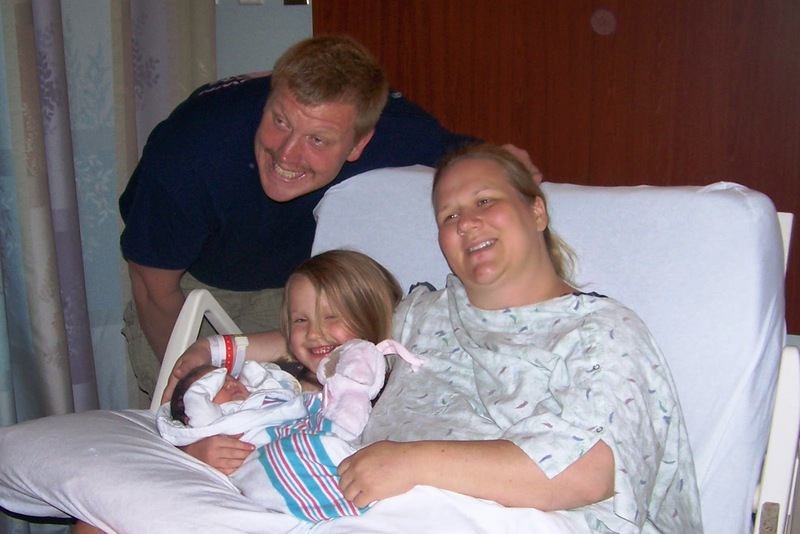 He really believed Jillian would break his record for the largest baby he'd ever delivered, and he fully anticipated her weighing in at 12 lbs. She "only" weighed 10 lbs 8 oz. The placenta weighed nearly as much. That's right folks, I literally lost 20 lbs in the span of about 20 minutes, LOL. So glad to hear everything went well and you had a much better experience this time.